A 10 Days Vietnam program for those who have limited time. You will visit and experience Hanoi, Halong Bay, Hue, Hoi An and Ho Chi Minh city. All private for a very reasonable price. Arrive Hanoi airport. Welcome and private transfer to your centrally located hotel in the Old Quarter. You will have time to walk and visit the Hoan Kiem 'Sword' Lake from your hotel with the temple in the lake and the Red Bridge. Overnight in Hanoi. After breakfast you will be picked up and will transfer by joined bus to Halong City. Here you will board your Vietnamese wooden cruise where lunch is served onboard. Cruise to the Sung Sot cave and visit this magnificent piece of nature. 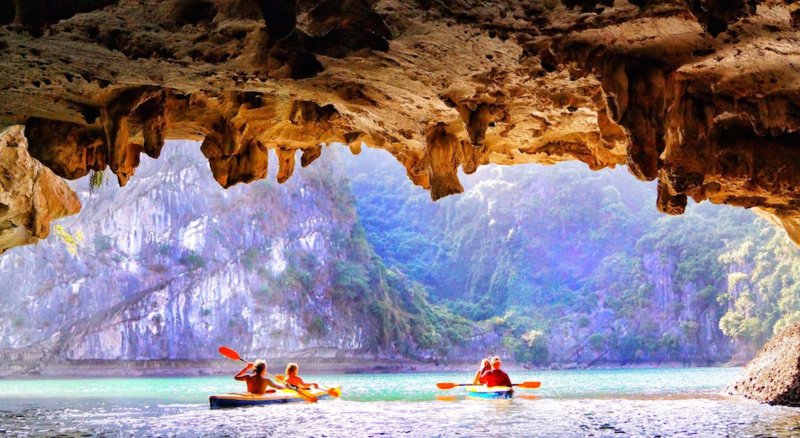 You will have time to relax or go for kayakking around Halong Bay. In the afternoon return to your cruise for dinner and overnight in your private cabin in Halong Bay. 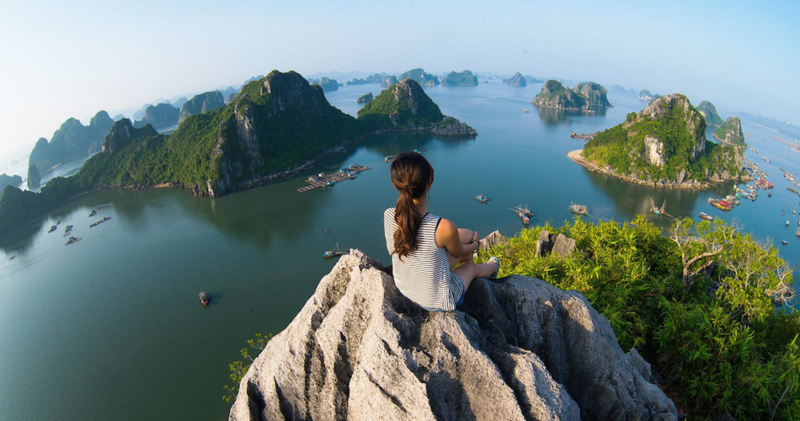 After breakfast, the cruise will visit Ti Top Island where you have time to swim, relax or hike to the top of the mountain for a spectacular view over Halong Bay. Return to the cruise and sail back to Halong pier. After an early light lunch, you will transfer back by joined bus to Hanoi city center. You arrive in the afternoon and you will be transfered by private car to the Hanoi train station for your overnight train to Hue. Arrive early morning, welcome and private transfer to your centrally located hotel in Hue. You will have the mornign and the afternoon to visit the highlights of Hue such as the Imperial Palace, The Pagoda of the Celestial Lady, the old tombs of the former kings of Hue or the Hien Lam Pavillion. Overnight in Hue. Afer breakfast a joined bus will pick you up from your hotel and drive over the Hai Van Pass to the bus station of Hoi An. You can walk to your hotel or negotiate with the local tricycle taxi for a few us dollars to let you bring to your centrally located hotel in Hoi An. Overnight Hoi An. After breakfast, you are free to explore the old town of Hoi An on your own. Its easy to walk or to take a bicycle. You can also visit the rural countryside or the beach of Hoi An. Overnight Hoi An. After breakfast, private transfer to Danang airport for your flight to Ho Chi Minh City. Arrive, welcome and private transfer to your centrally located hotel in Ho Chi Minh City in District 1. Overnight in Ho Chi Minh City. After breakfast, you are free and you can decide to explore the city on your own or book an extra half day scooter tour. You can also visit in half a day the Cu Chi Tunnels or you can make a day trip to the Mekong Delta. Overnight in Ho Chi Minh City. After breakfast, free till time for your private transfer to the airport for your flight back home. * Note this program can be altered based on your time, travel period, budget and wishes. Let us know how we can make a tailormade program for you. A partir de € 492 p.p.